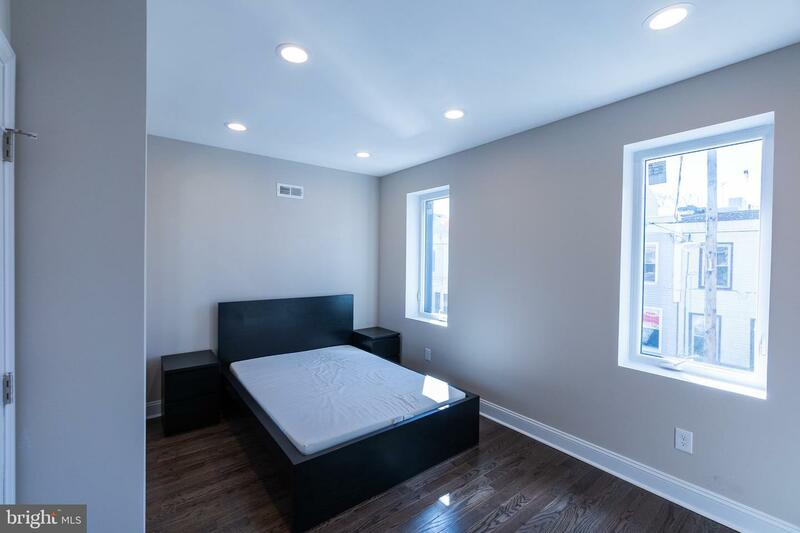 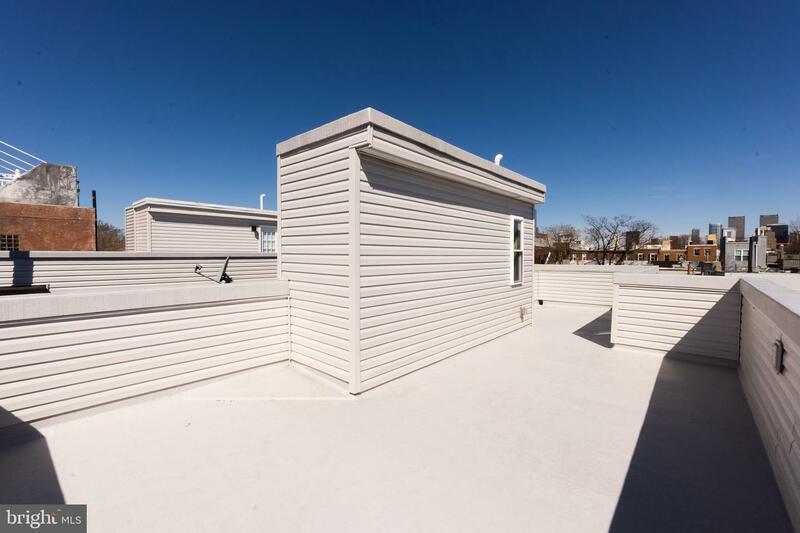 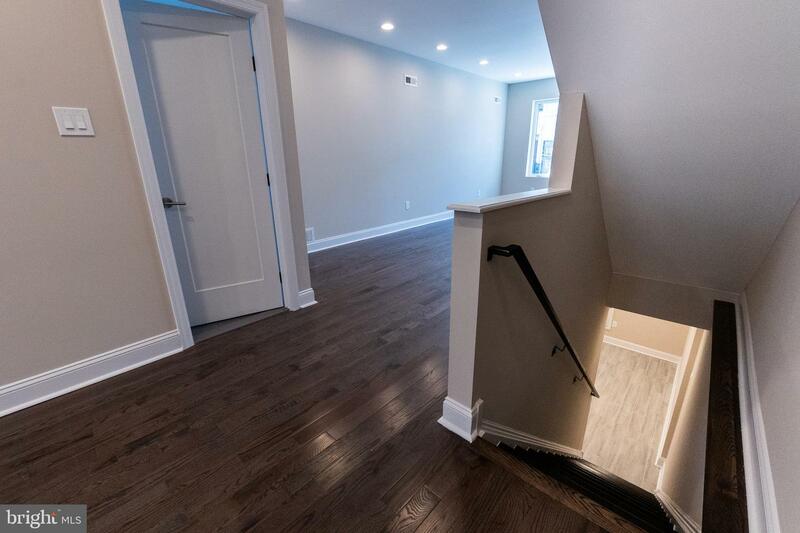 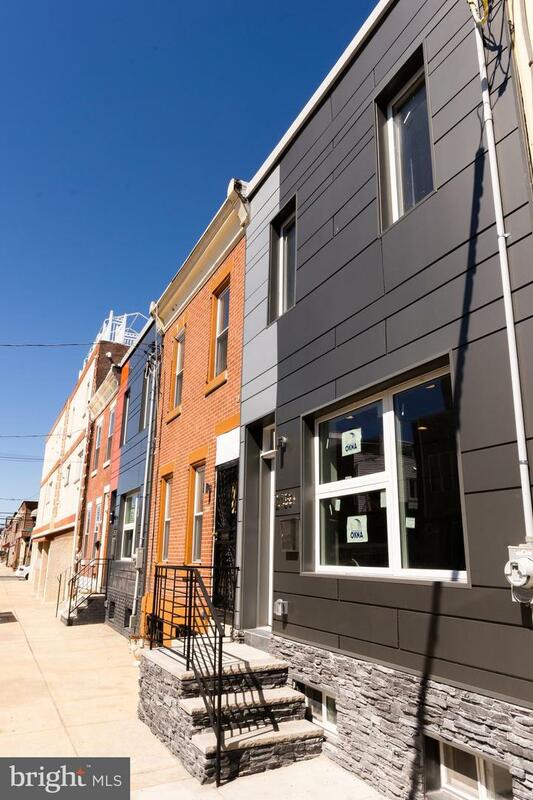 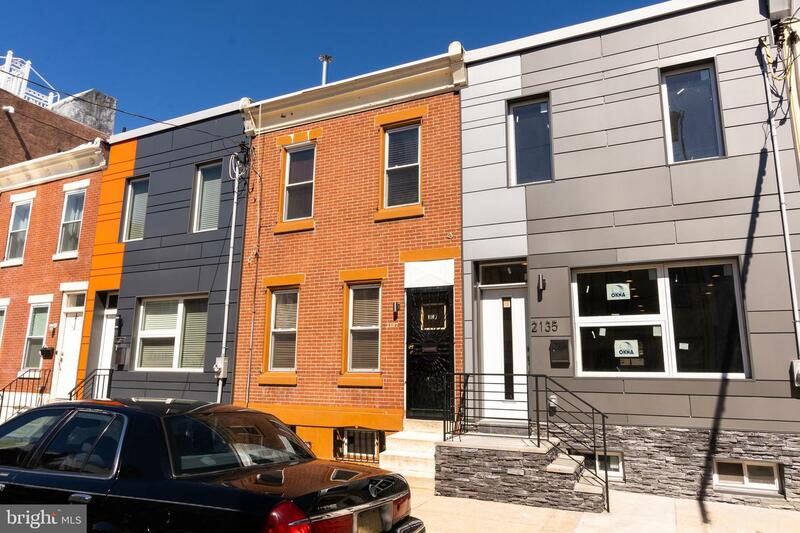 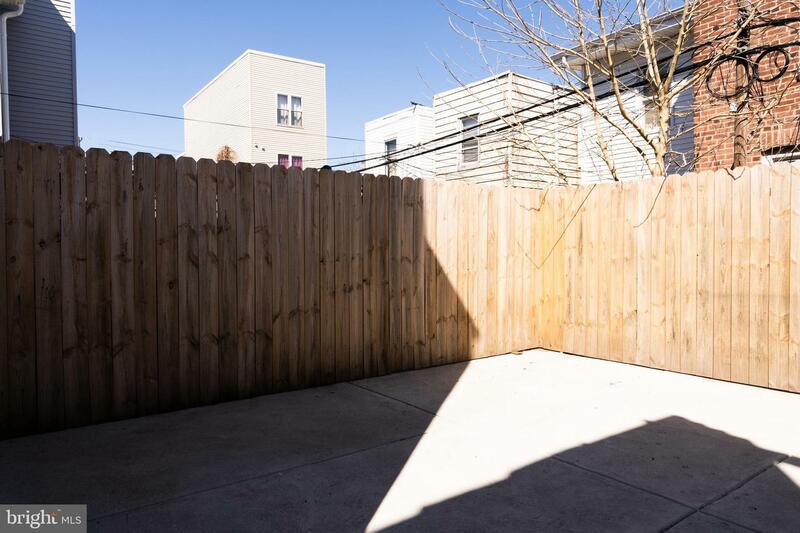 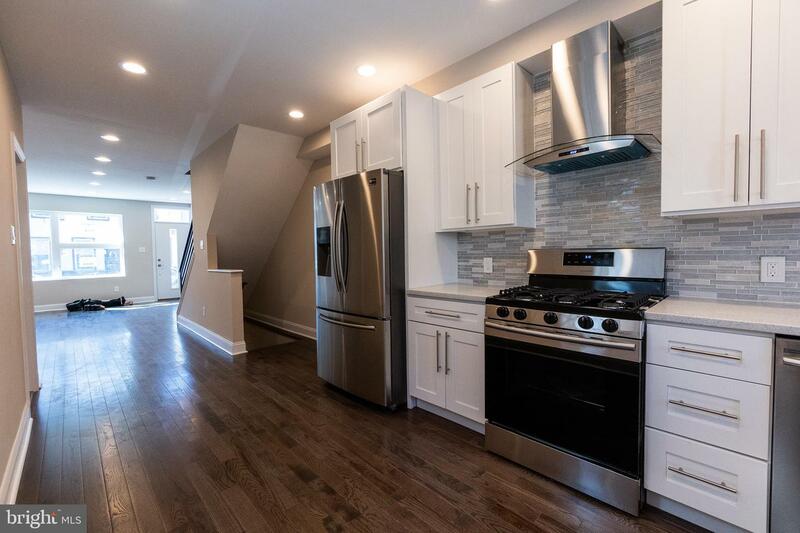 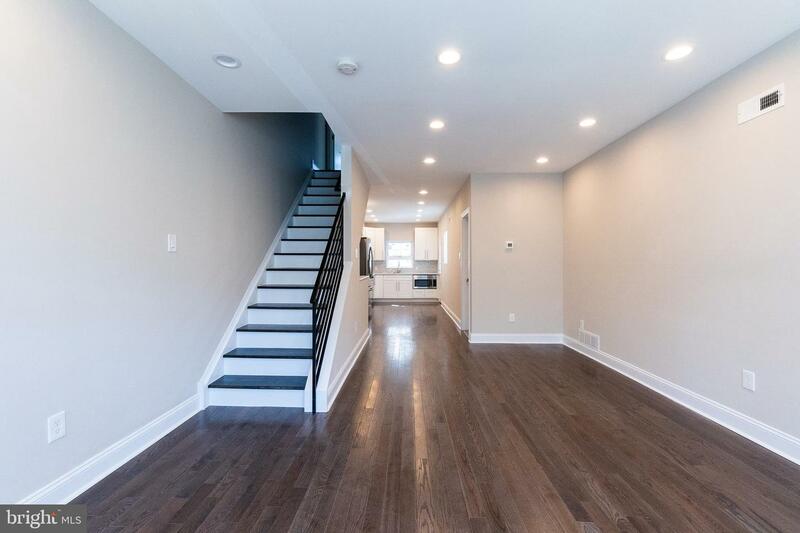 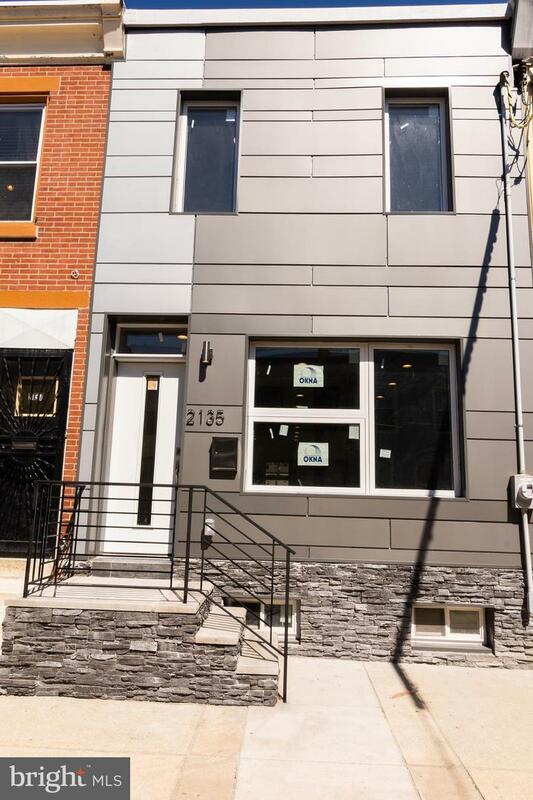 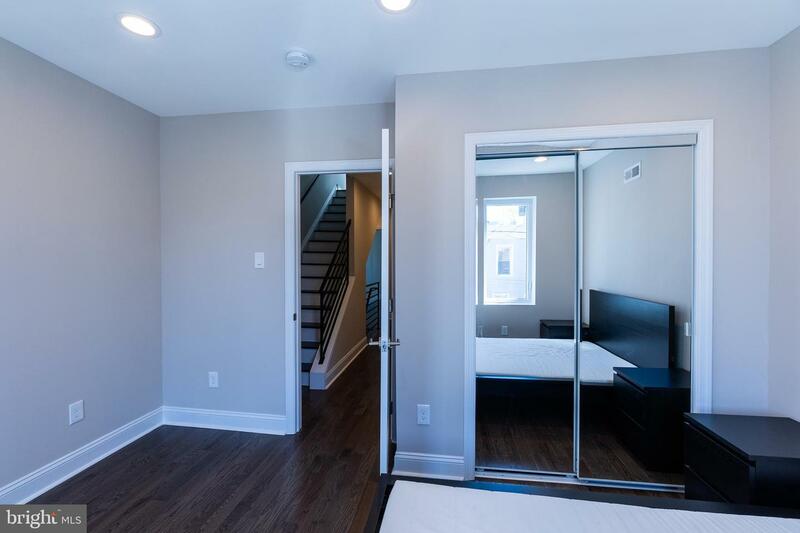 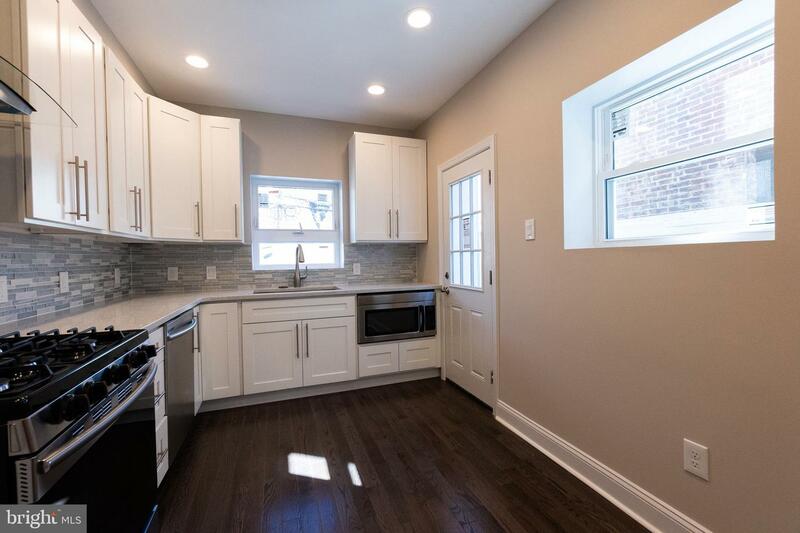 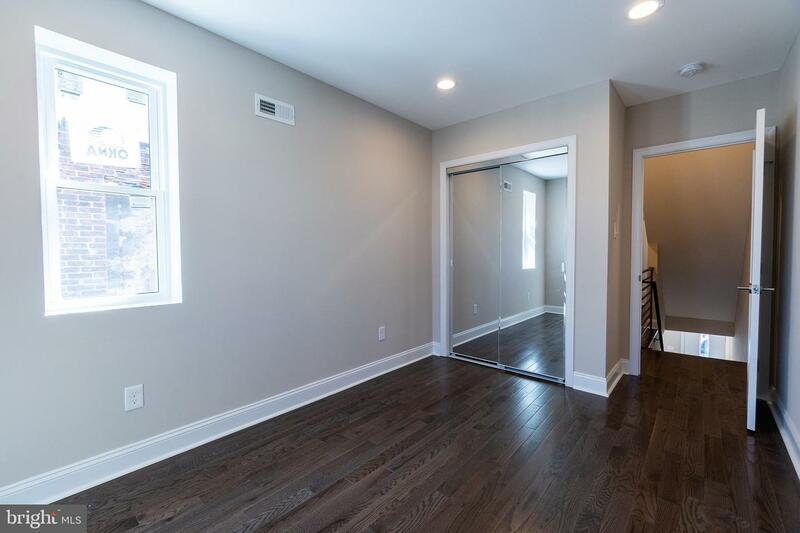 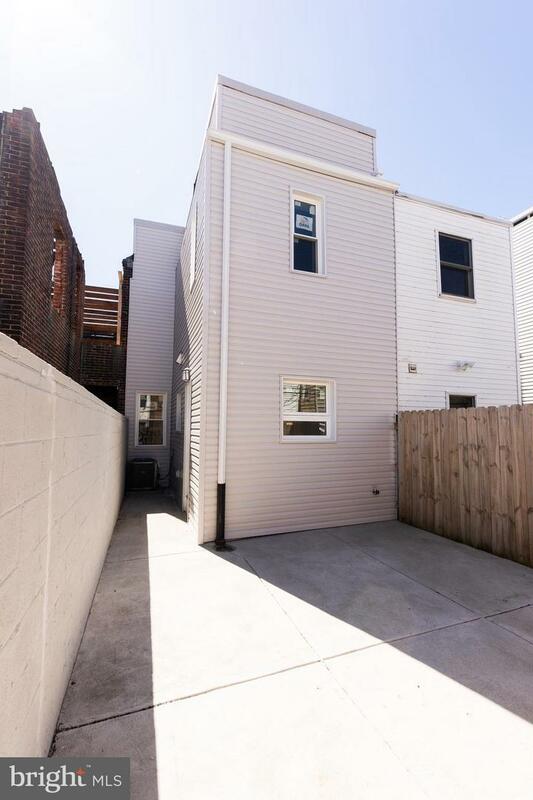 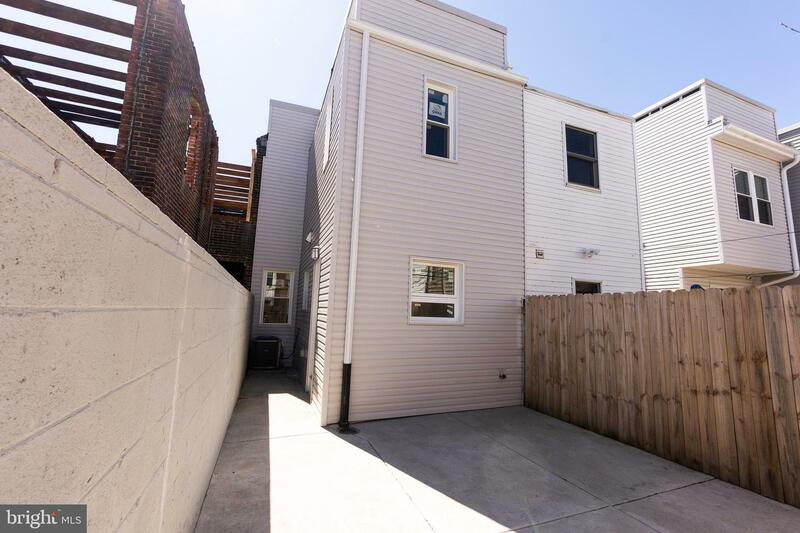 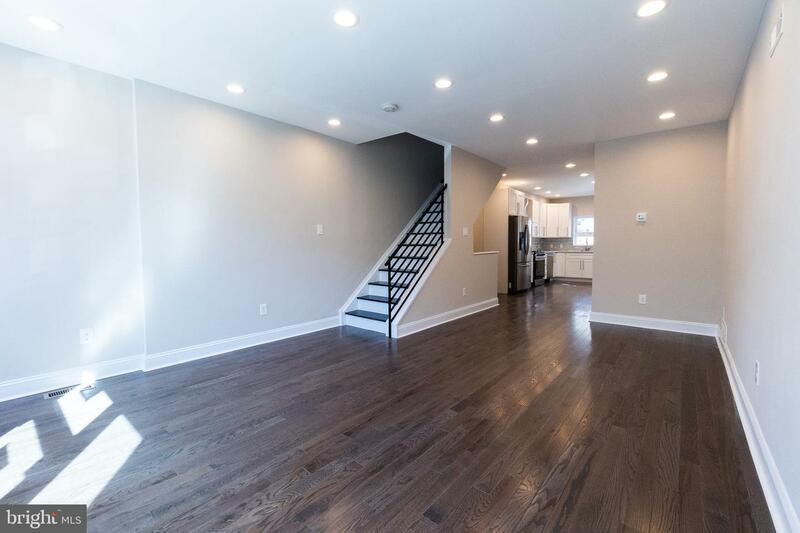 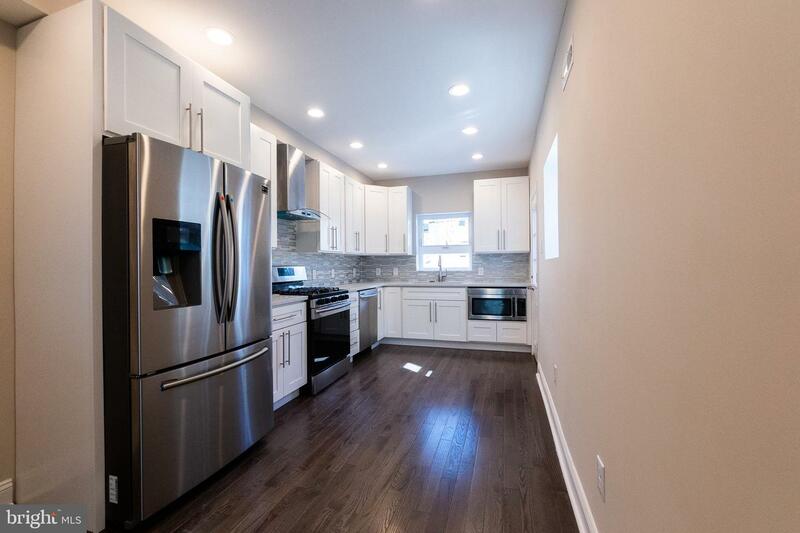 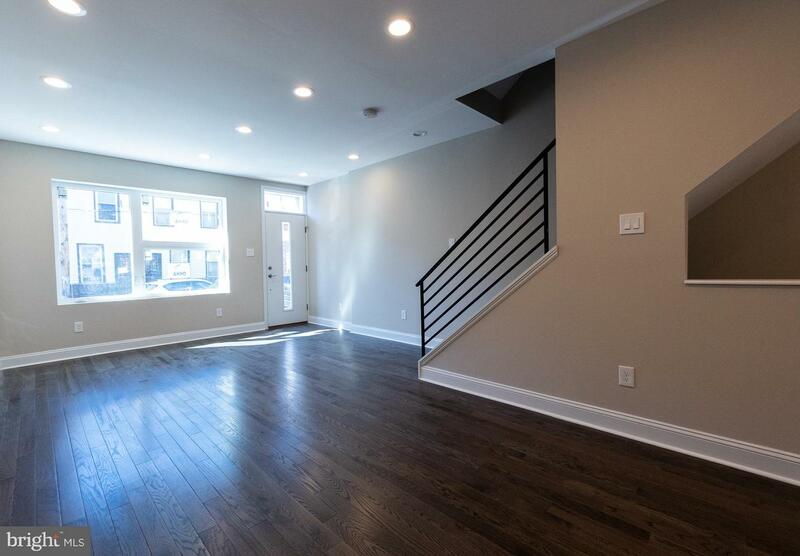 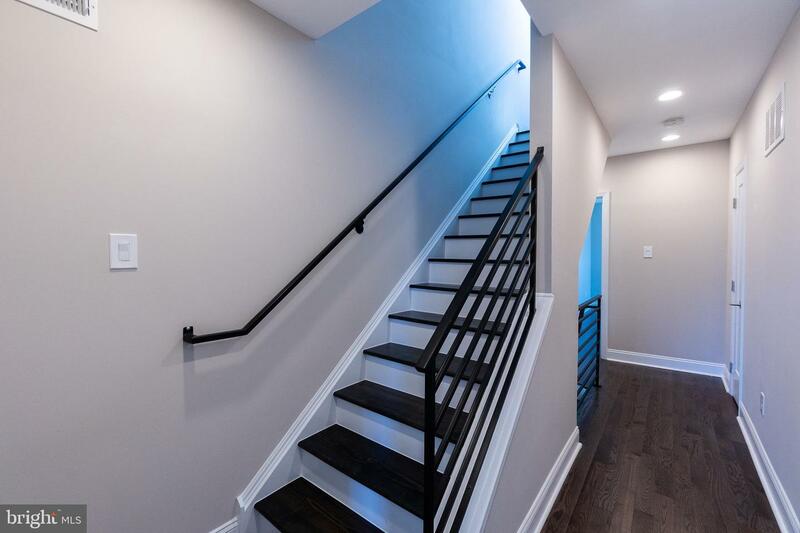 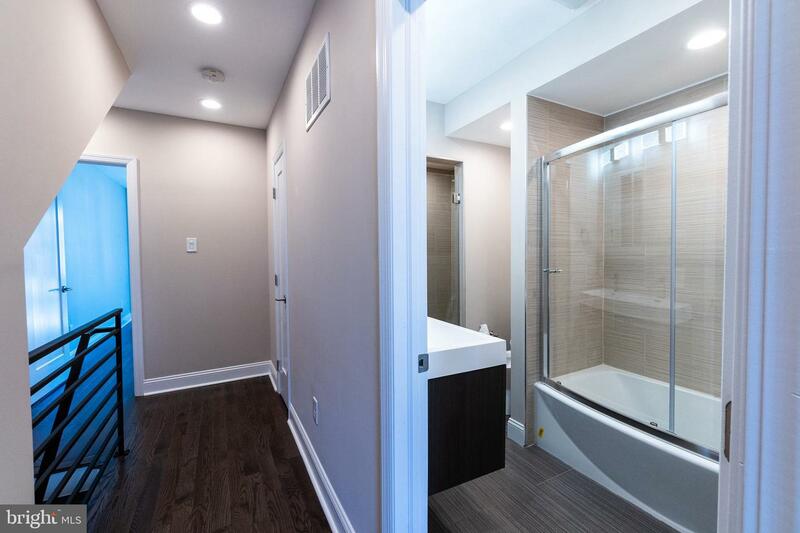 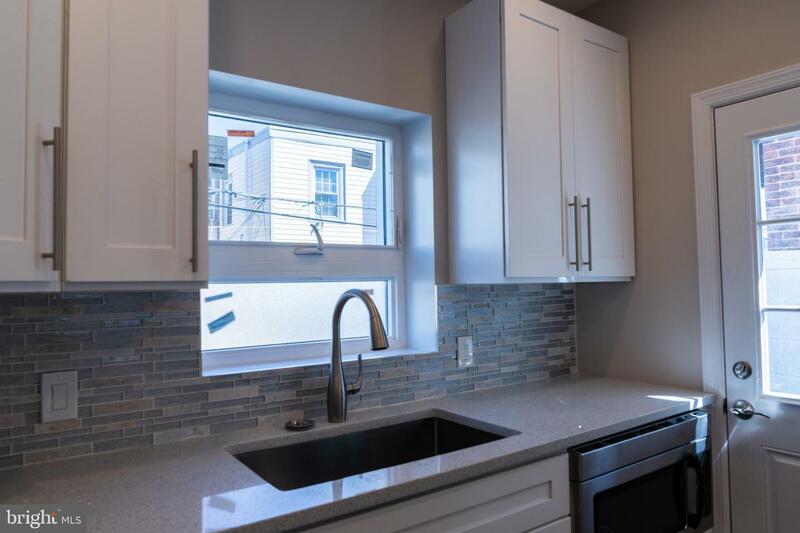 Beautifully renovated 2 story home with 2 bedrooms, 2 1/2 bathrooms, fully finished basement and a rooftop deck in the heart of Point Breeze. 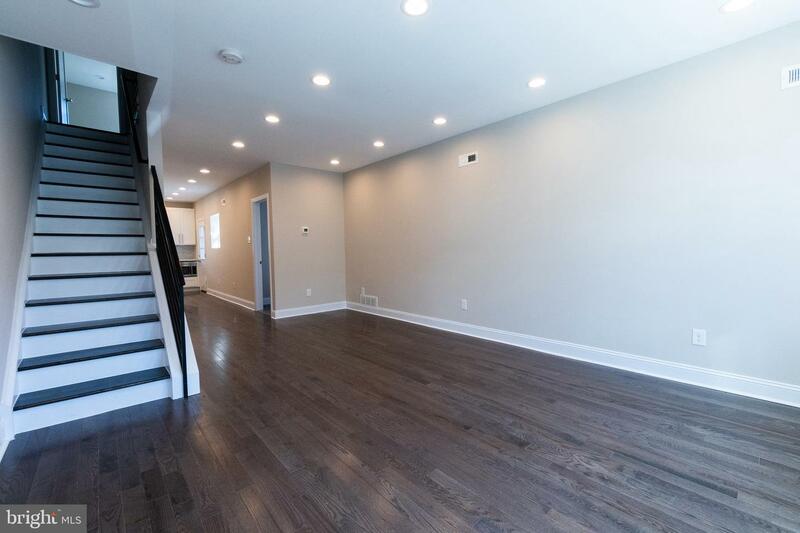 Enter into an open floor plan with hardwood floors and LED recessed lighting throughout the house. 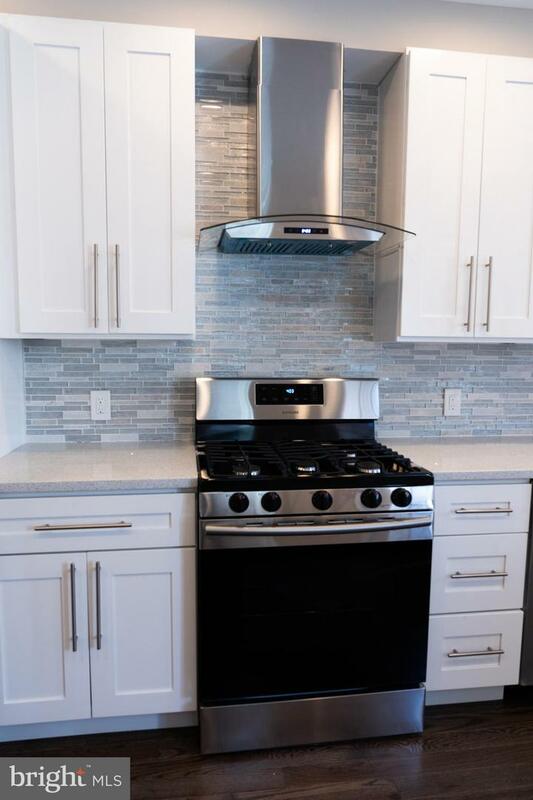 Modern kitchen features quartz counter-tops, 42 inches cabinets, mosaic back-splash, Samsung stainless steel appliances with a dishwasher and a built-in microwave. 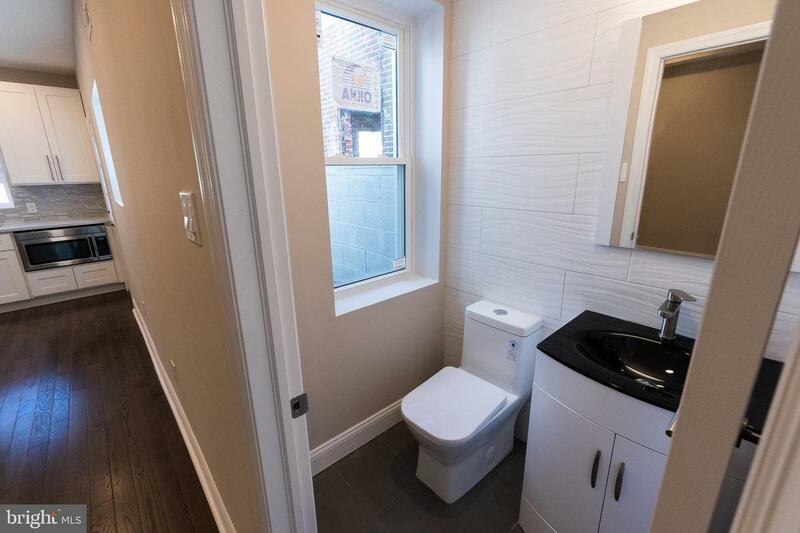 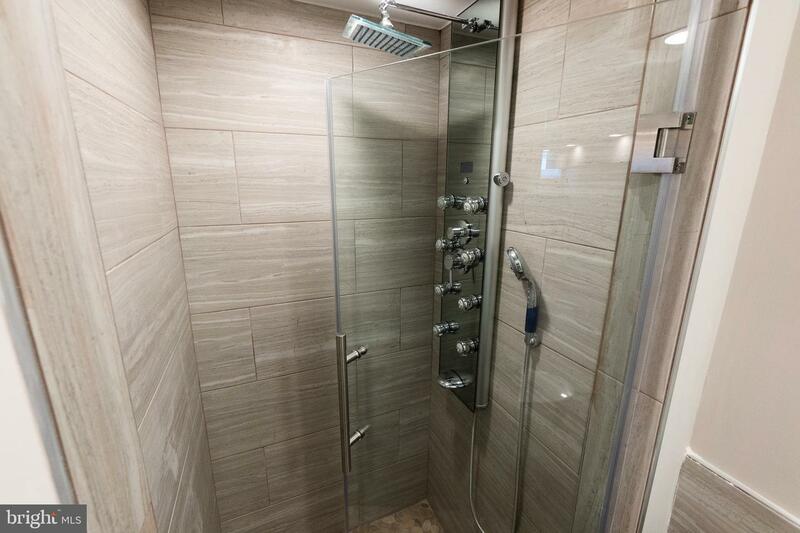 Powder room with ceramic tiles is located on the main floor. 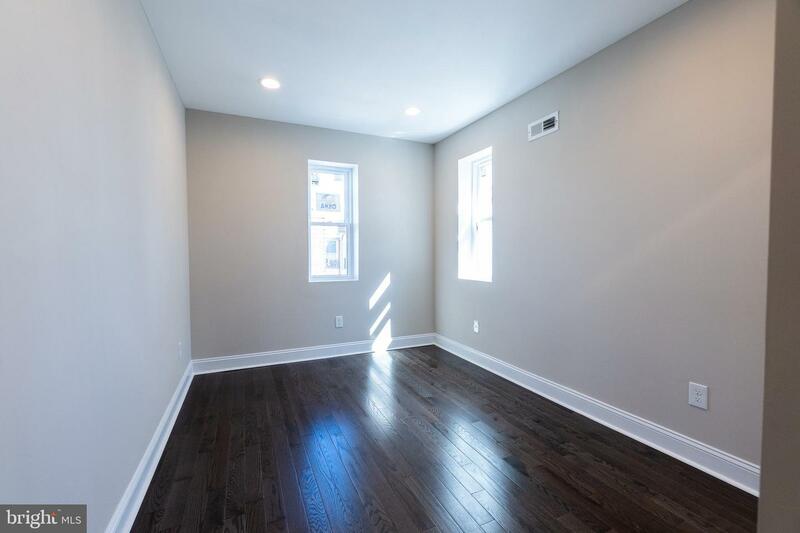 Living room has a large window that drenches the main floor in natural sunlight. 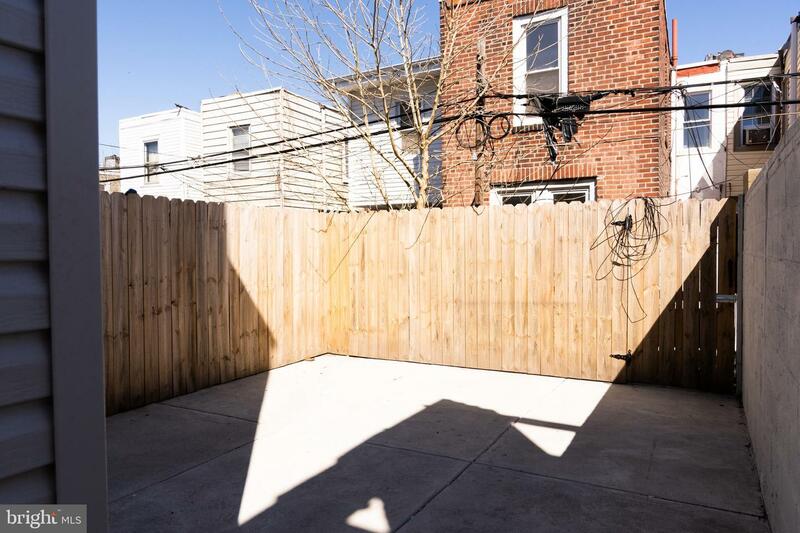 Private enclosed cement rear yard is perfect for entertaining. 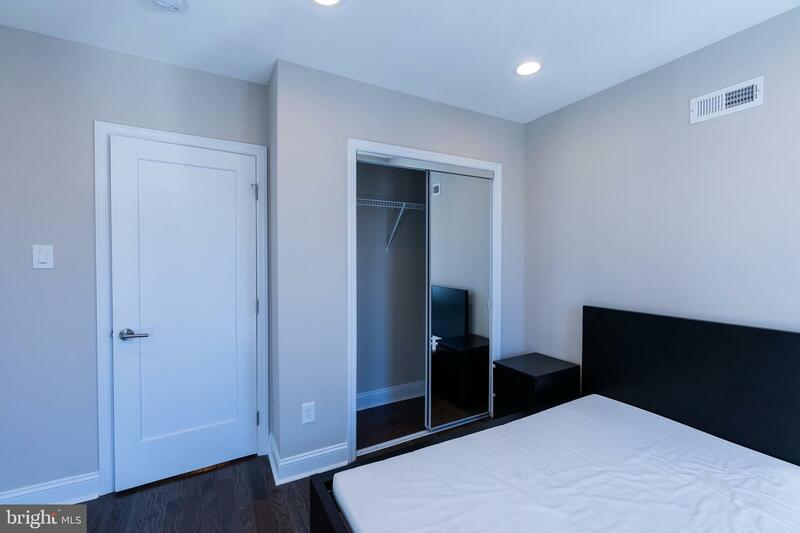 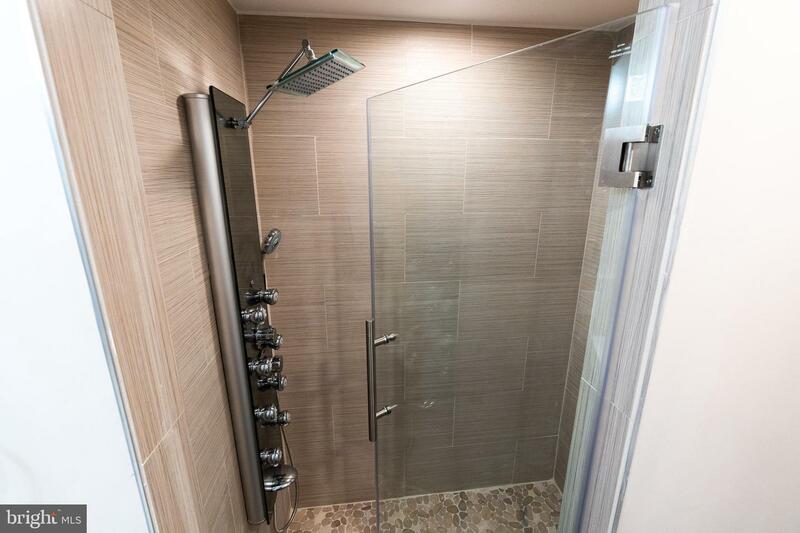 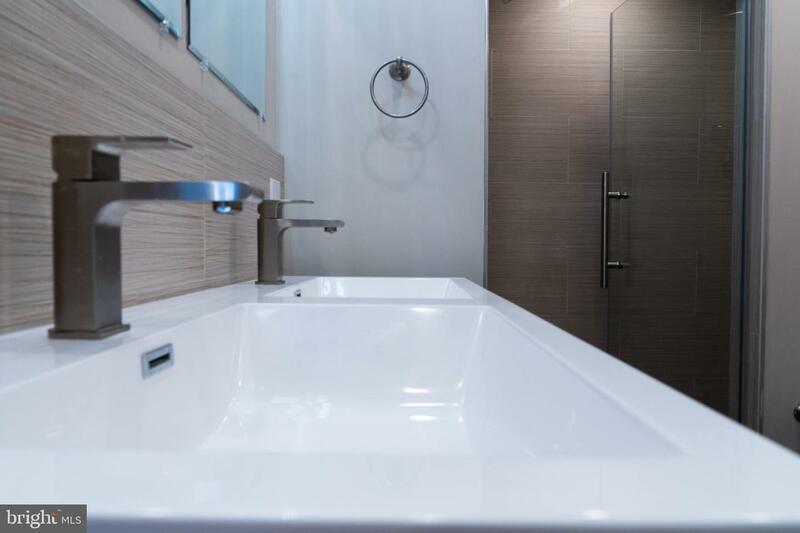 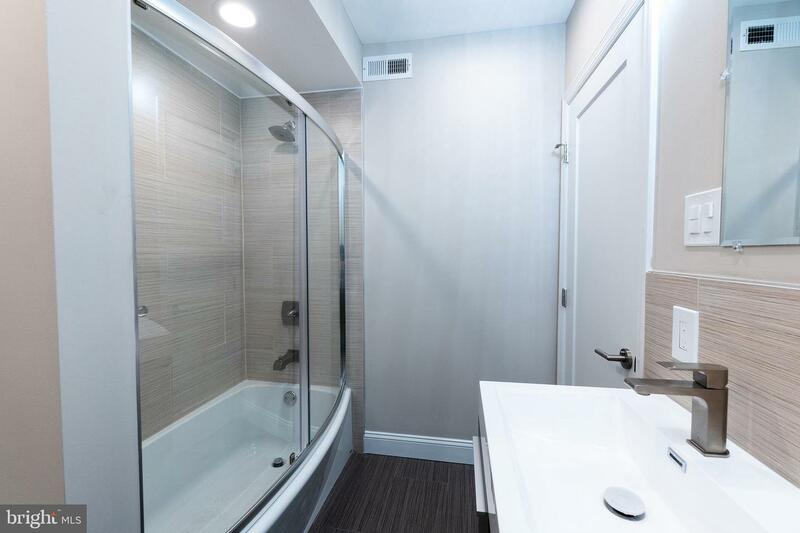 The second level features two nice size bedrooms with closets, a convenient laundry room with high efficiency Samsung washer and dryer, and a modern full bathroom with a high-end double sink vanity, a separate shower and a bathtub. 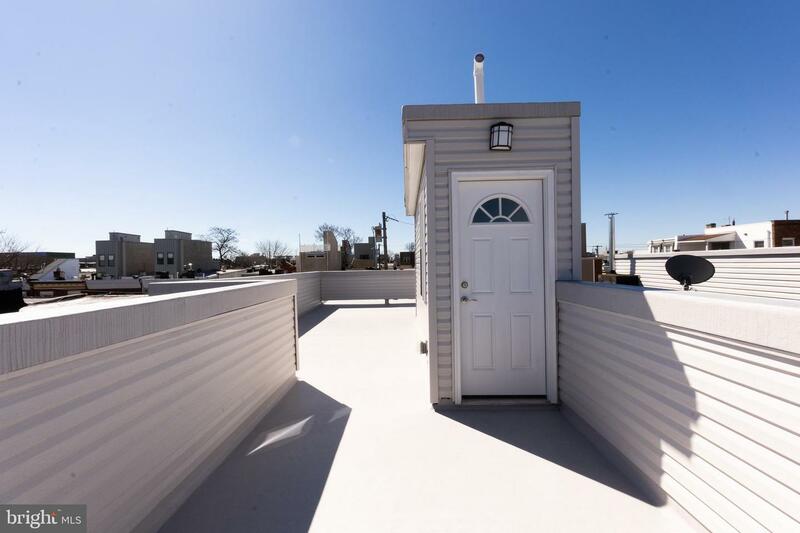 The pilot house leads to a spectacular huge roof deck with incredible views of the city skyline. 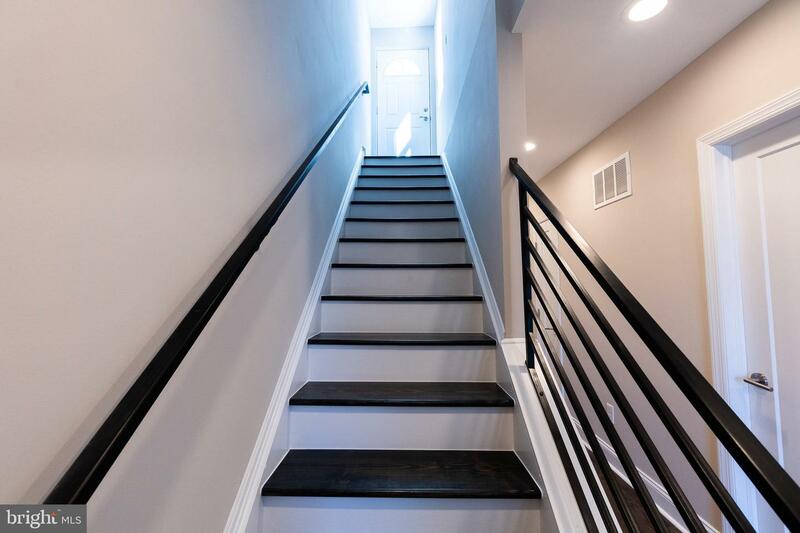 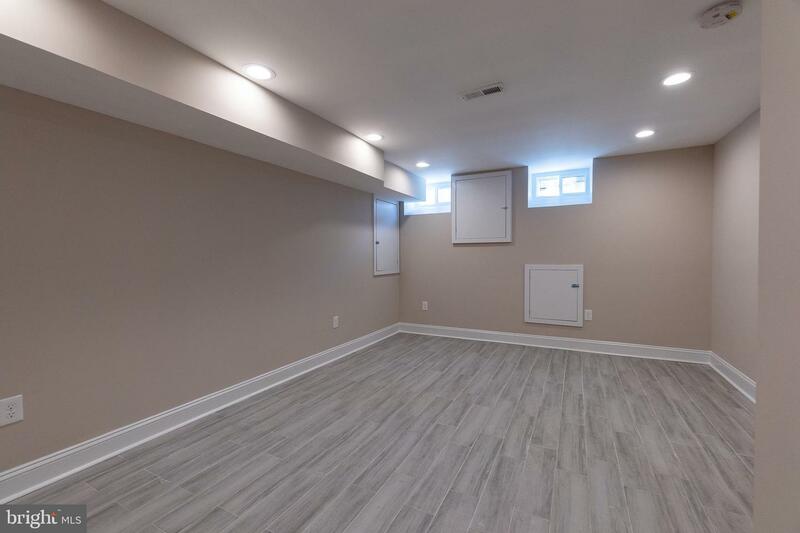 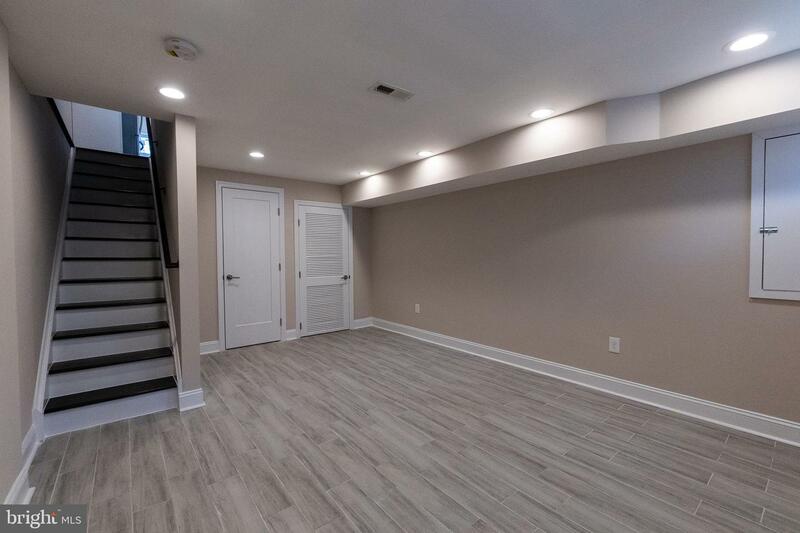 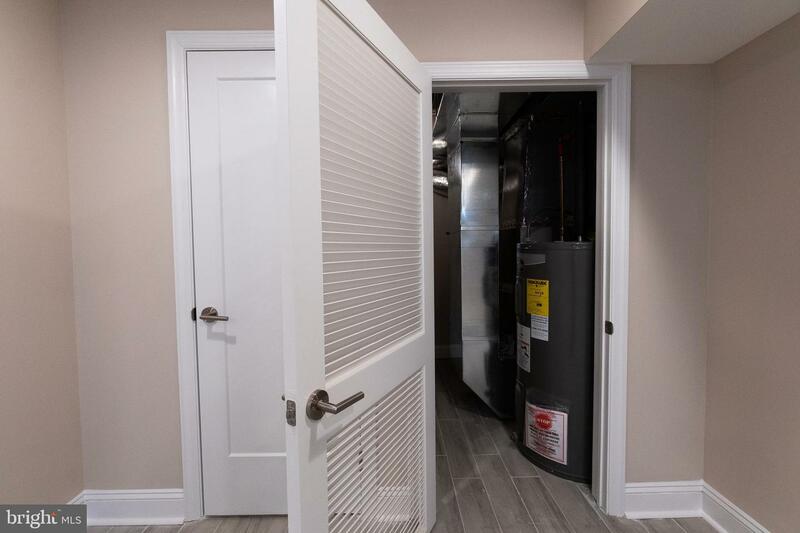 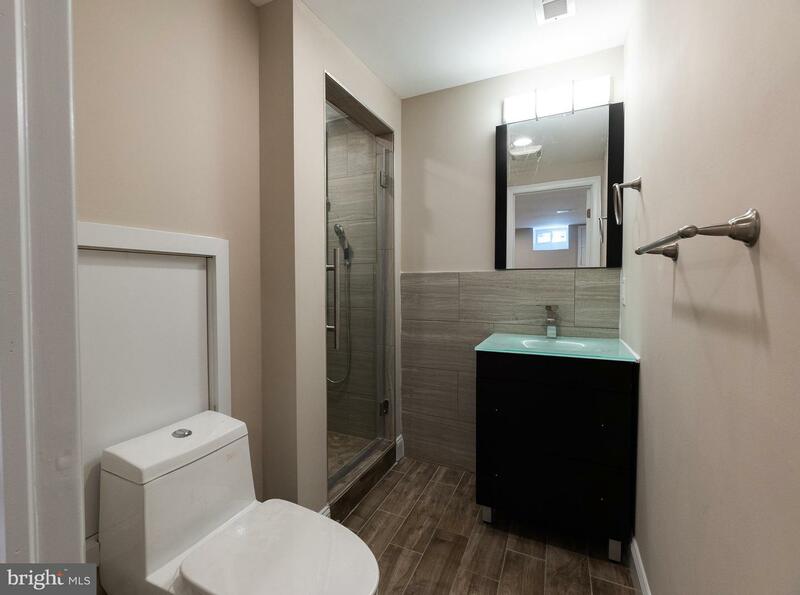 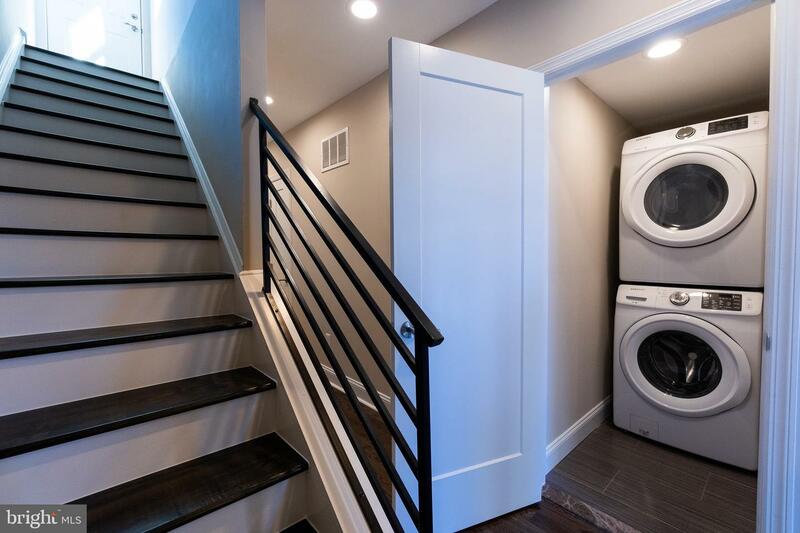 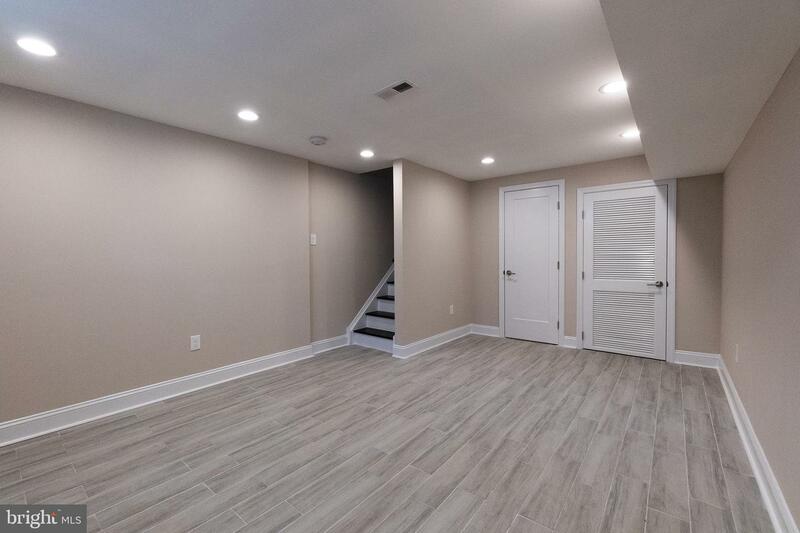 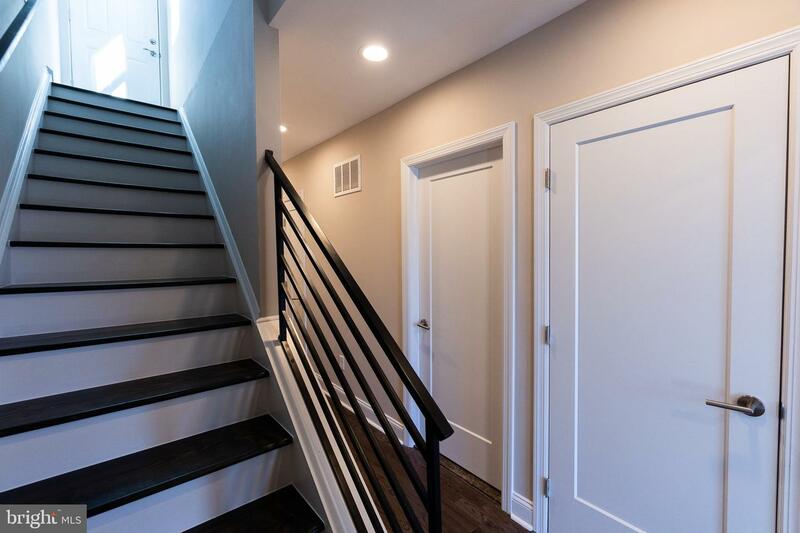 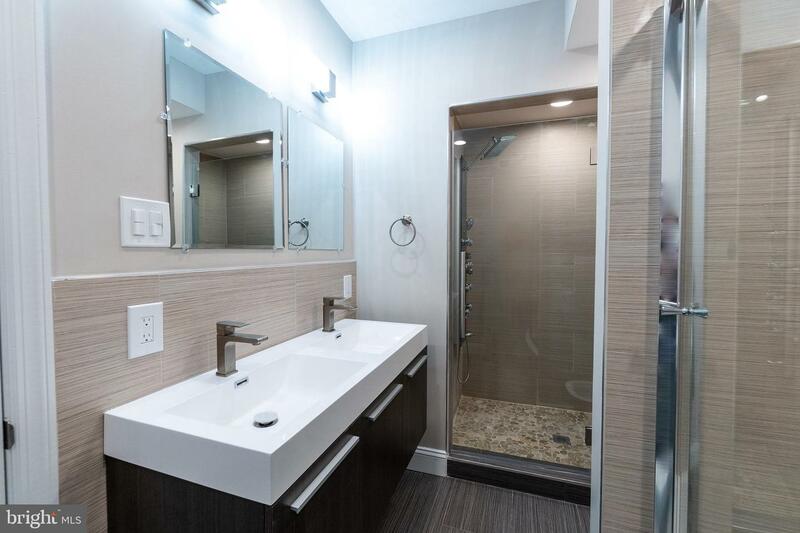 Finished basement is a great addition for entertainment or extra living space and features recessed lighting, modern full bathroom and a utility room with a new hot water heater. 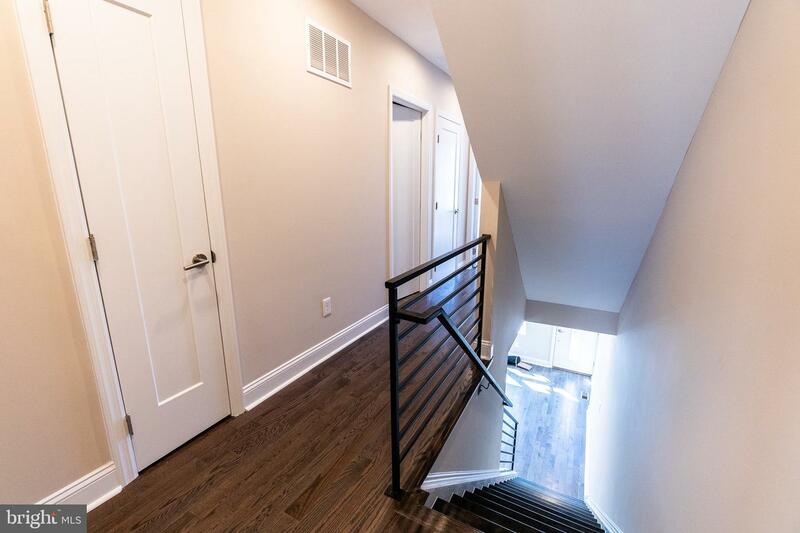 The house has been upgraded with new windows and doors, new roof, new energy efficient HVAC. 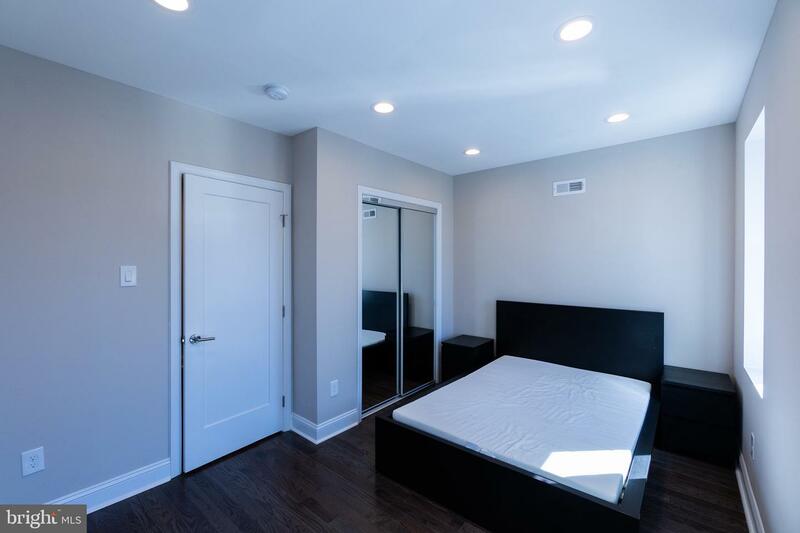 Located on a quiet street, close to public transportation and just steps away from local shopping centers and restaurants. 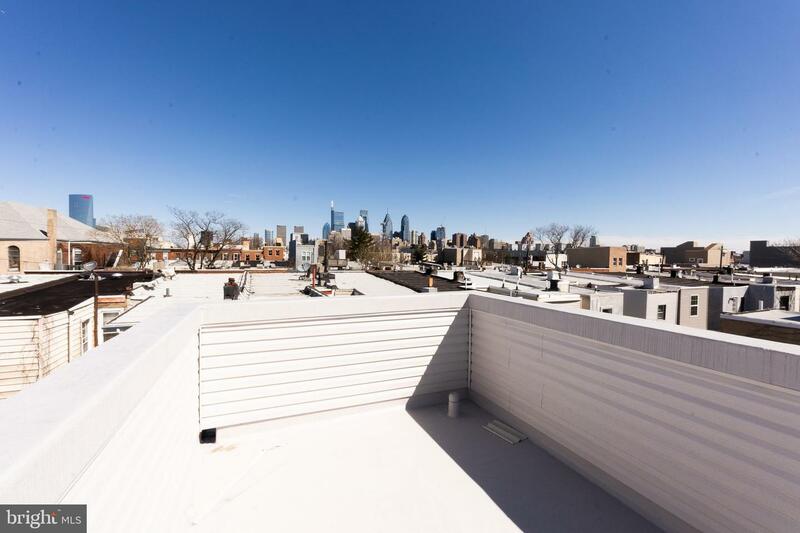 Close to everything Center City has to offer.